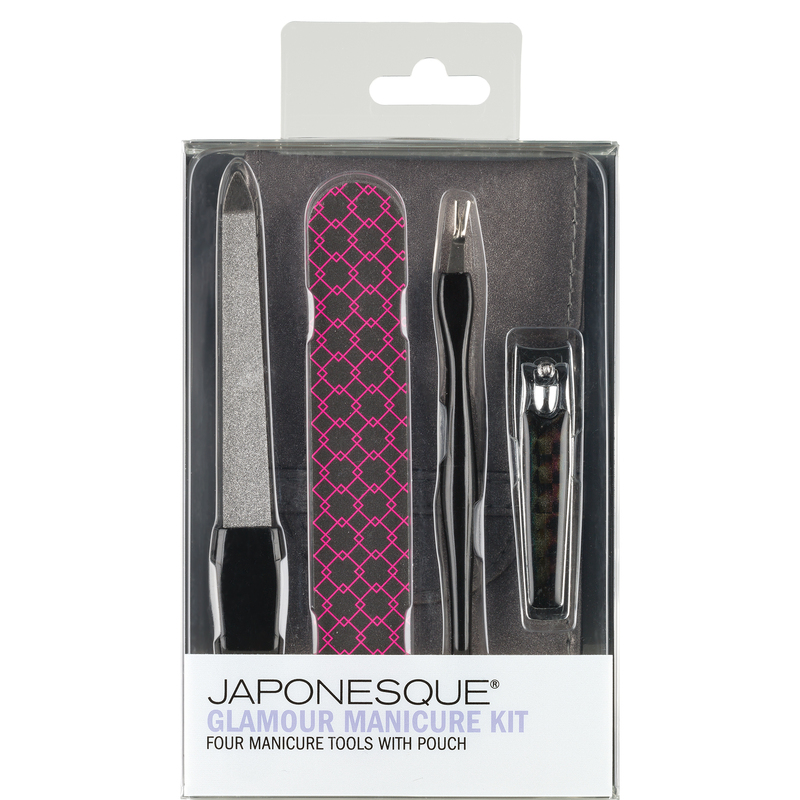 Keep nails neat and trim with the JAPONESQUE® Glamour Manicure Kit. 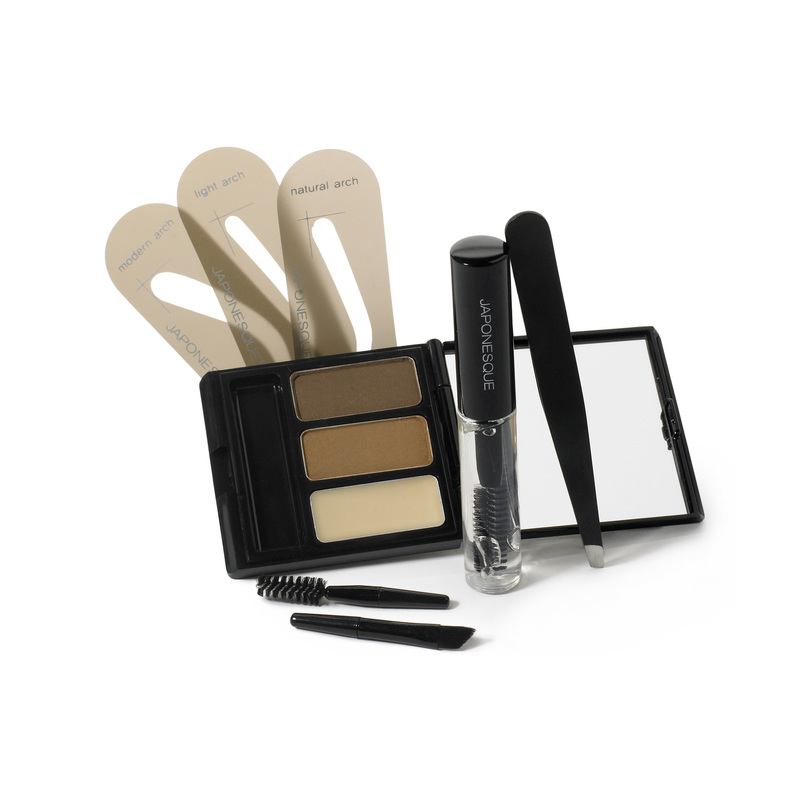 Perfect for home or on the go. 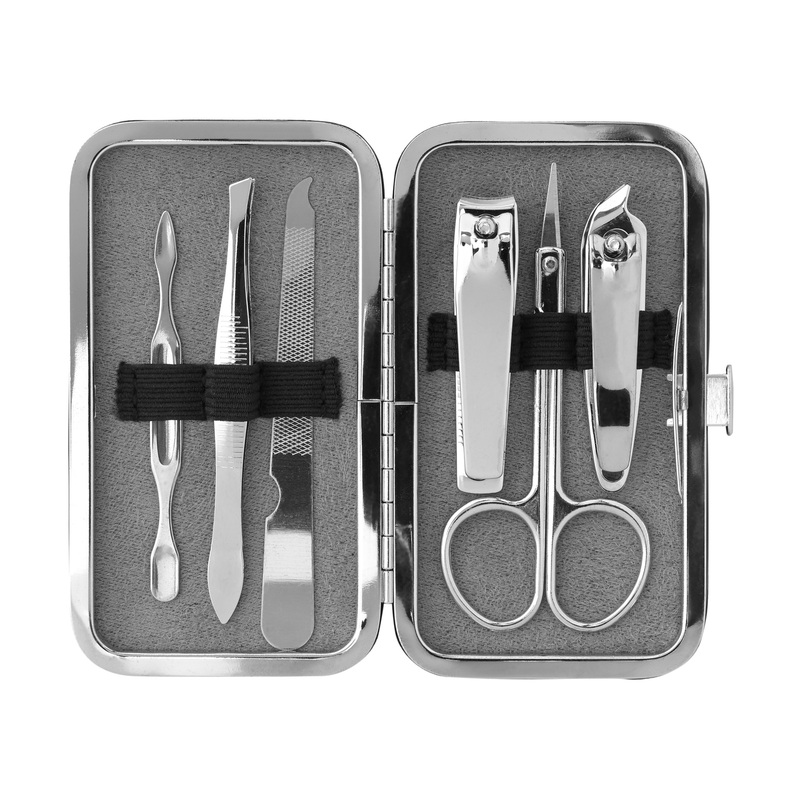 Stylish nail essentials are protected in a soft pouch that fits anywhere. 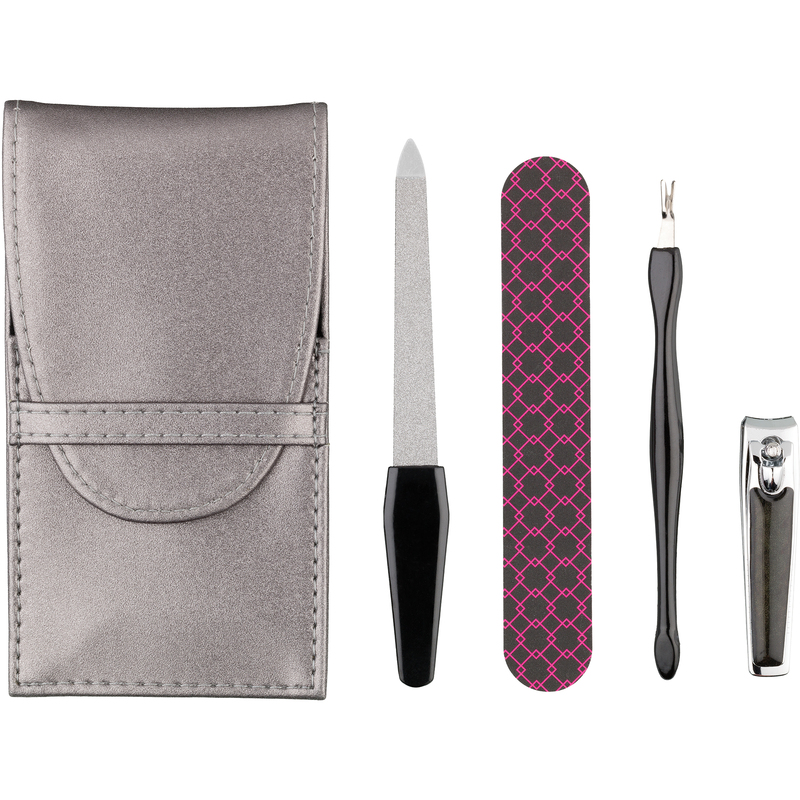 Kit includes: Sapphire Nail File, Dual Ended Cuticle Pusher and Remover, Nail Buff and Shine Board, Nail Clipper and Pouch. Soak fingertips in warm water to soften cuticles. Gently loosen and push back cuticles with the blunt pusher side of the Dual Ended Cuticle Pusher and Remover. 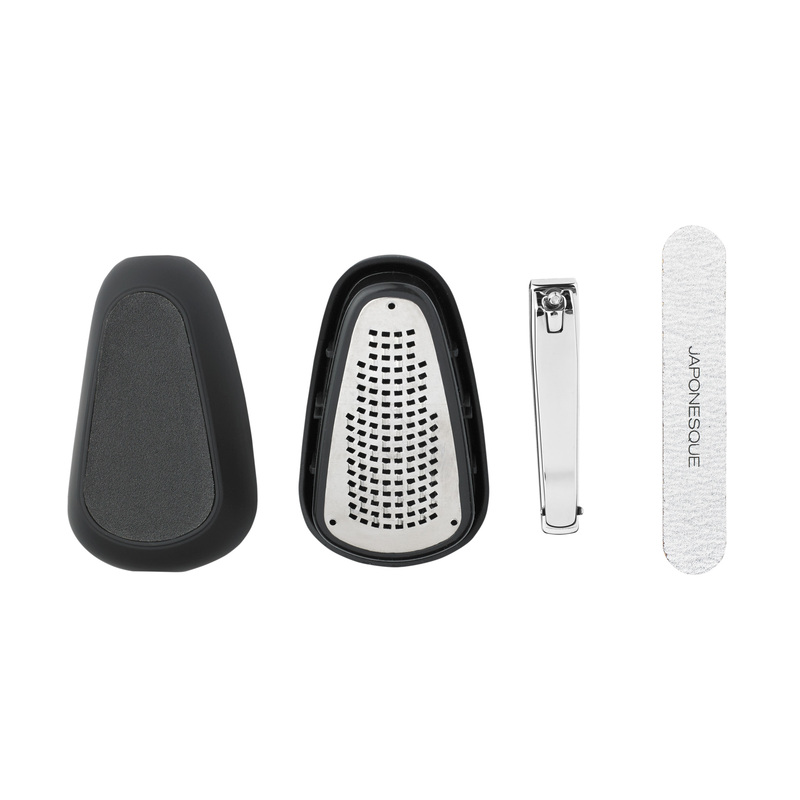 Carefully remove excess cuticles with the V-side of the Dual Ended Cuticle Pusher and Remover with prongs facing upward, taking care to avoid live skin. 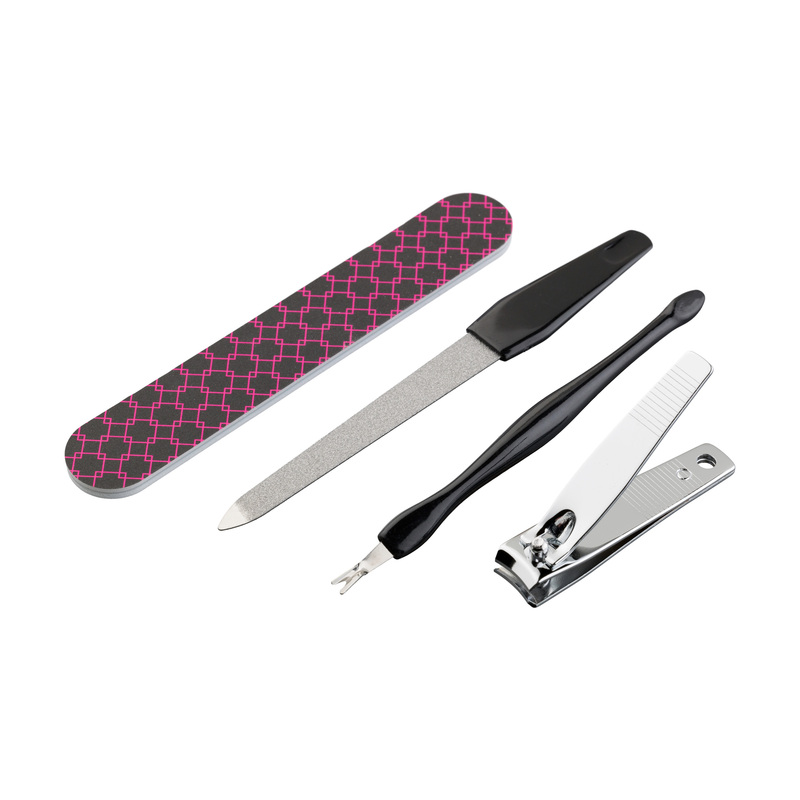 Use nail clipper to achieve desired nail length. Then use Sapphire Nail File to shape and smooth nails. Lastly, smooth nail surface ridges with the buffing textured side of the Nail Buff and Shine Board and create a natural shine using the shine surface.